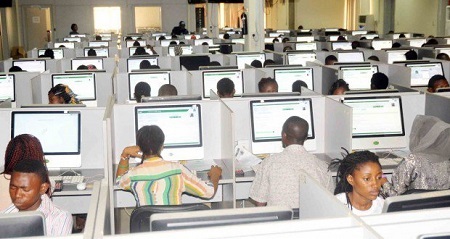 The date for the 2018 Unified Tertiary Matriculation Examination has been announced by the Joint Admissions and Matriculation Board. “We are unable to access our CBTcentres because most of them are in the universities and non teaching staff are on strike,” he said. “Regarding the sale of forms, about 10 per cent of the expected candidates have registered, the number of candidates that have registered now is about 283,319,”he said. “No candidates, examiners, invigilators will be allowed to enter the examination hall with wrist watches, pencils except HB pencils… and cameras” he said.